This is the exclusive table lamp we have done with much affection. 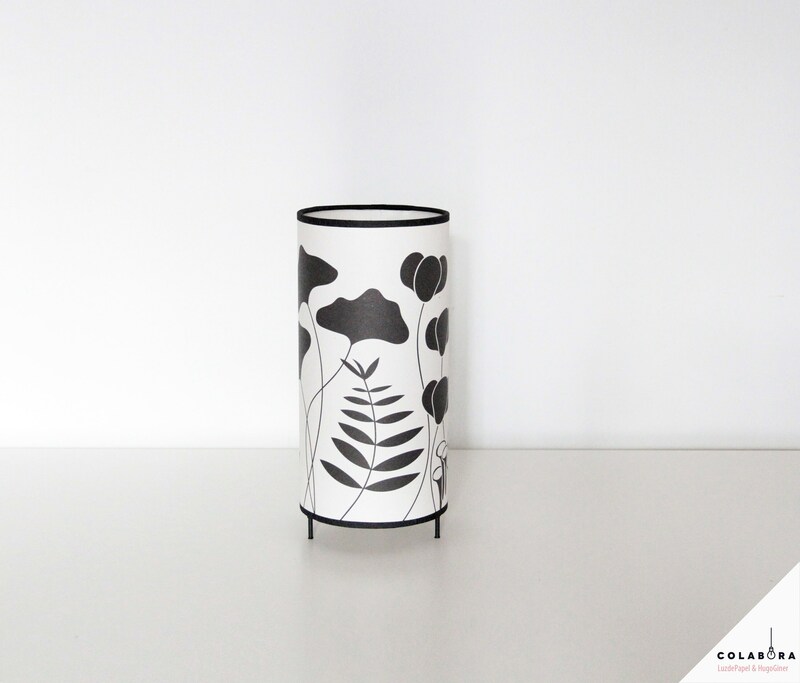 It Is The result of the collaboration of Valencian designer Hugo Giner and myself, Marta López. 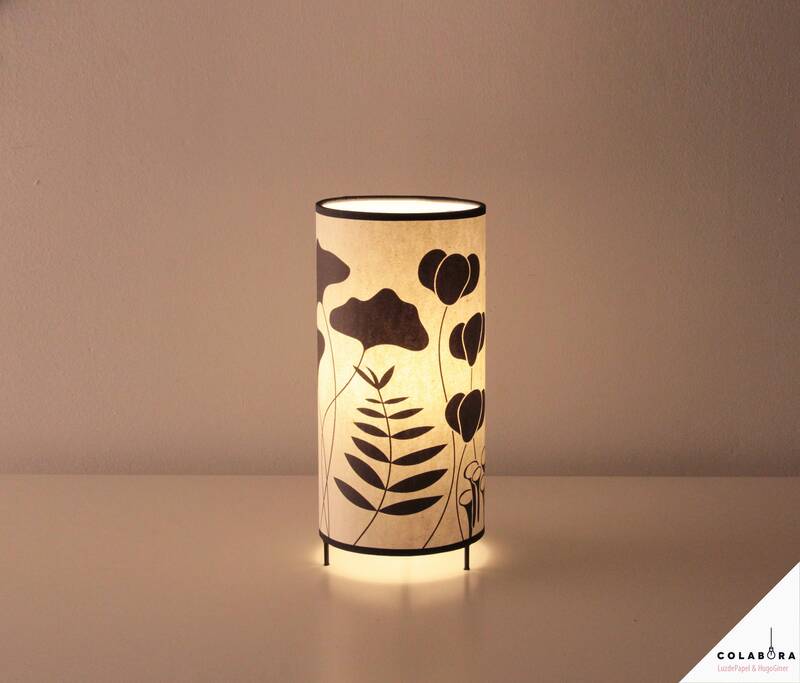 The screen has been printed in high quality with a nice design in which we can appreciate the botanical motifs of the black silhouettes of ginko leaves and other plants. Elegant and discreet Colors perfect for decorating in the hospitality industry and also in the home. The screen is hand-mounted csobre the structure. It Is made up of a layer of VC that gives it stiffness and a last layer of high quality paper with water-based varnish finish. The base material of the screen is made in Spain and complies with all the safety regulations required by the European Community. Each of our creations are produced one by one with a lot of love and professionalism and none is equal to another. These creations are handmade and can have small differences that give value and are part of the character of the work. The screen is 24.50 cm tall and 12 cm in diameter with four 2 cm high legs. The product is supplied with a cable of 1 ' 5 m (41 ' 34 inches) with switch. The Bulb (40 watts maximum if you use the old filament bulbs) is NOT included. We Recommend using a LED source. You'll Save on your light bill and help take care of your planet. In Addition, the lamp will last longer as the LED bulbs do not emit heat. We Carry out the shipment with a safe packaging which will protect your lamp and arrive in perfect conditions wherever you want. This design will be made on request and will take 4 to 6 working days to be done and sent.